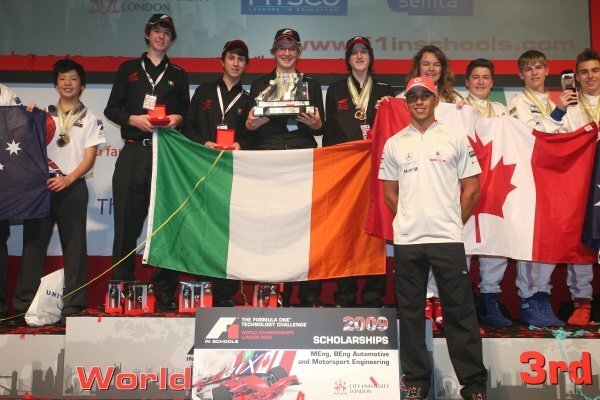 Lewis Hamilton (GBR) McLaren with the F1 in Schools podium.<br /> F1 in Schools World Championships 2009, Royal Horticultural Halls, London, England, 17 September 2009. 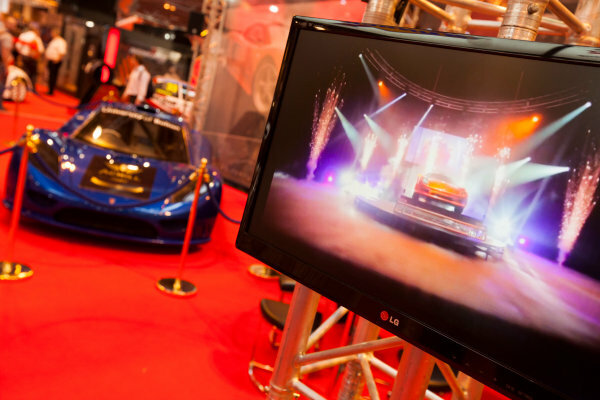 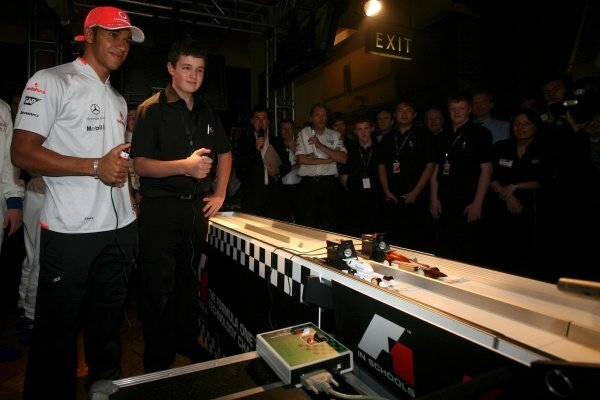 Lewis Hamilton (GBR) McLaren tries his hand at racing one of the competing vehicles.<br /> F1 in Schools World Championships 2009, Royal Horticultural Halls, London, England, 17 September 2009. 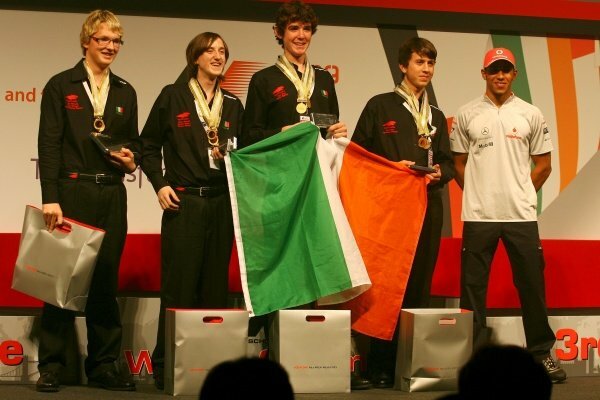 Lewis Hamilton (GBR) McLaren with the top three teams.<br /> F1 in Schools World Championships 2009, Royal Horticultural Halls, London, England, 17 September 2009. 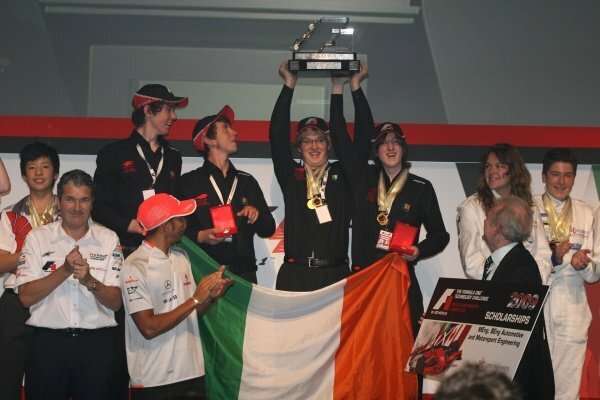 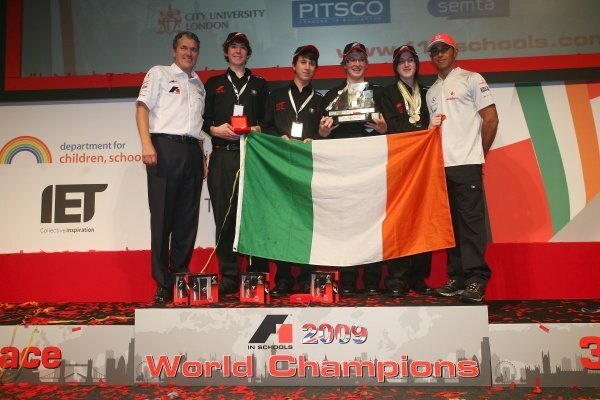 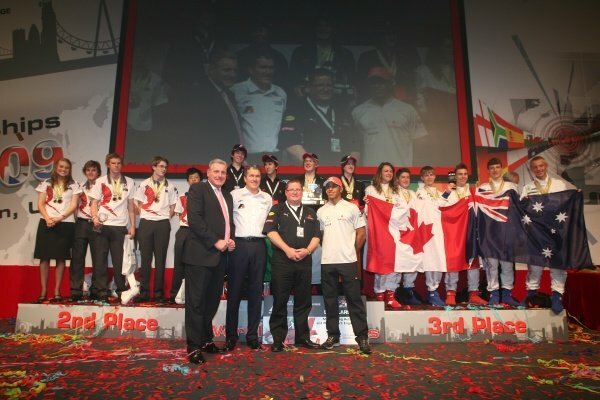 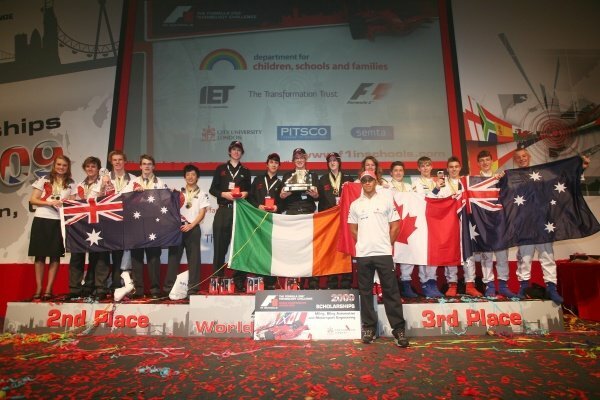 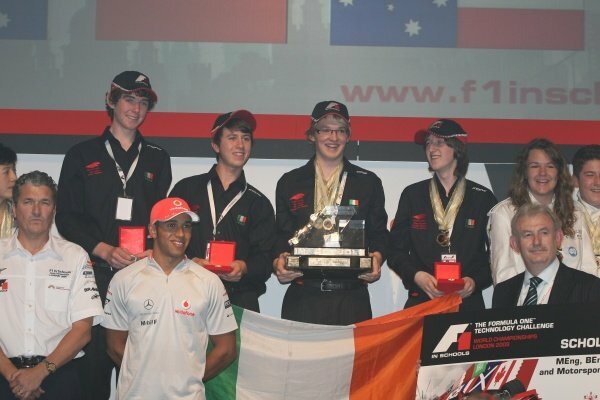 Lewis Hamilton (GBR) with the winning Irish team.<br /> F1 in Schools World Championships 2009, London, England, 17 September 2009. 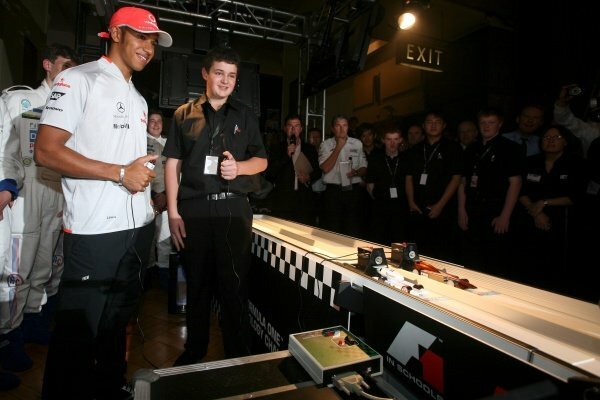 Lewis Hamilton (GBR) McLaren tries his hand at racing one of the competing machines.<br /> F1 in Schools World Championships 2009, London, England, 17 September 2009. 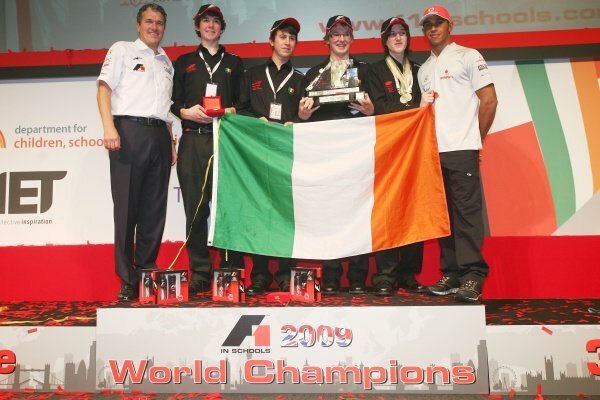 Lewis Hamilton (GBR) McLaren with the winning Irish team.<br /> F1 in Schools World Championships 2009, London, England, 17 September 2009. 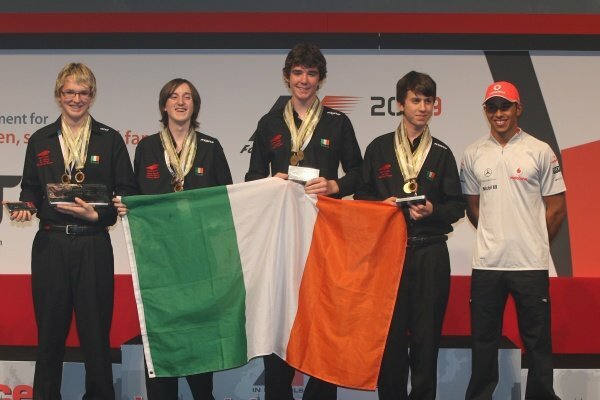 Lewis Hamilton (GBR) McLaren with the World Champion team from Ireland.<br /> F1 in Schools World Championships 2009, Royal Horticultural Halls, London, England, 17 September 2009. 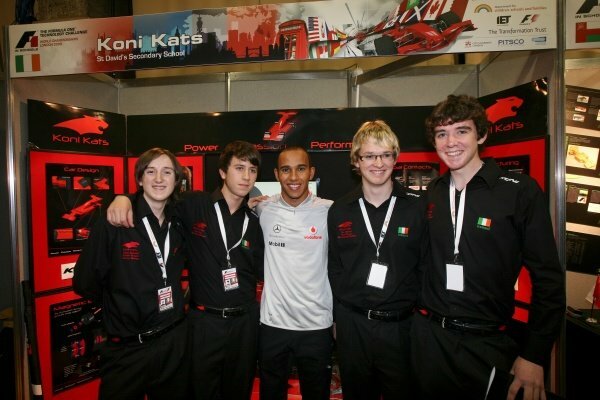 Lewis Hamilton (GBR) McLaren.<br /> F1 in Schools World Championships 2009, London, England, 17 September 2009. 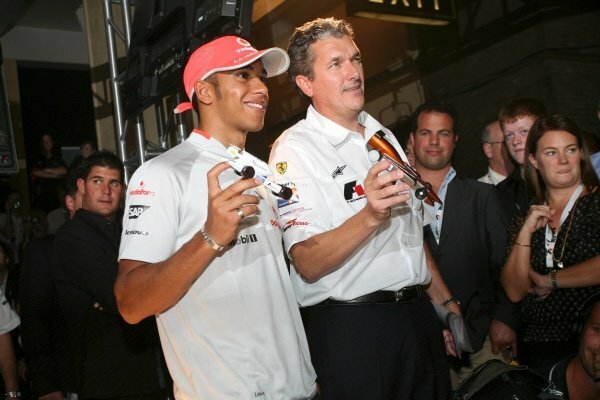 Lewis Hamilton (GBR) McLaren with Andrew Denford (GBR) Chairman and founder of the F1 in Schools Challenge.<br /> F1 in Schools World Championships 2009, London, England, 17 September 2009. 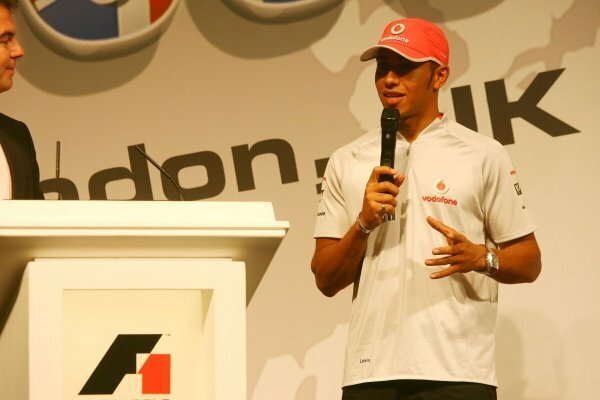 Lewis Hamilton (GBR) McLaren.<br /> F1 in Schools World Championships 2009, Royal Horticultural Halls, London, England, 17 September 2009.